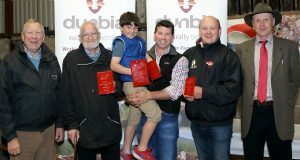 Saturday the 9th September saw the annual BBQ and presentation of Herds competition awards take place on the NIHBA chairmans farm of John Gill (AJ Farms), Saintfield. 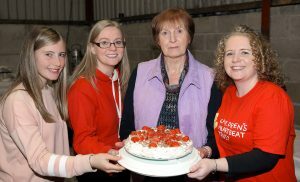 This years beneficiaries, The Children’s Heartbeat trust attended the evening and the Society are pleased to announce that over £2000 has been raised on the evening for such a worthwhile cause. 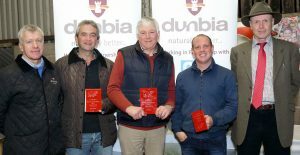 With over 100 people attending on the evening they where treated to quality Hereford Steaks thanks to Dunbia after a farm walk round the Lusky Herd. The evening also included an auction with Donald Beattie from the Association working the room. Music was also provided by local group Tennessee. 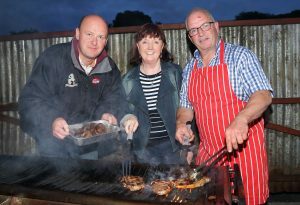 The Association would like to thank everyone who attended and donated on the night, without them we couldn’t manage to support such a worthwhile cause. 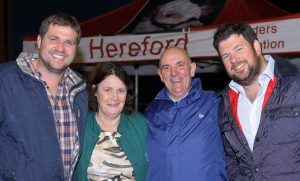 Herds completion judge James Nelson from Larne attended to announce the winners and present the trophies on the evening. 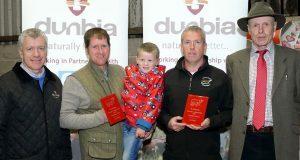 Overall Herd winners where the Solpoll herd owned by John and William McMordie, a truly well deserved award which has been won by the herd for the thirteenth year in a row. 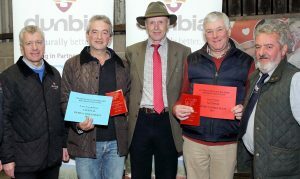 Reserve overall Herd of 2017 went to David Wilson from the Lisrace Herd who yet again had a very successful showing year.